PHOENIX, April 17, 2019 /PRNewswire/ -- Bishop Fox, the largest private professional services firm focused on offensive security testing, announced today that Jon Rose has joined the firm as vice president of Managed Security Services (MSS). Rose will lead the strategic development and delivery of the firm's new managed services offerings. 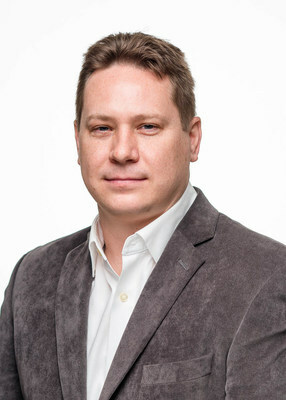 "Jon is a renowned industry thought leader and innovator with keen acumen in the offensive cybersecurity field, extensive management expertise, and remarkable technical knowledge," said Vincent Liu, co-founder and CEO of Bishop Fox. "There is no one we trust more to lead this strategic initiative for our firm." Bishop Fox is revolutionizing the way companies approach their offensive security with the introduction of its new managed security services. In modern, dynamic IT environments where continuous delivery and ephemeral systems have become standard, attack surfaces are continually changing. Bishop Fox's unique approach to MSS enables new technology assets and security issues to be continuously identified and assessed, resulting in immediate visibility into changing attack surface exposures, vulnerabilities, and risks. "Currently, organizations struggle to ensure continuous security as their applications and infrastructures constantly evolve. Most have little knowledge of the exact risks to which they are exposed at any given moment," said Rose. "Our turnkey managed security services are ushering in a new era of continuous security for the world's largest, modern companies who are digitally transforming." Bishop Fox is the largest private professional services firm focused on offensive security testing. Since 2005, the firm has provided security consulting services to the world's leading organizations ? working with over 25% of the Fortune 100 ? to help secure their products, applications, networks, and cloud resources with penetration testing and security assessments. In February 2019, Bishop Fox closed $25 million in Series A funding from ForgePoint Capital, which will allow the company to continue to grow its research capabilities and develop next generation offensive security technologies. The company is headquartered in Phoenix, AZ and has offices in Atlanta, GA; San Francisco, CA; New York, NY; and Barcelona, Spain.